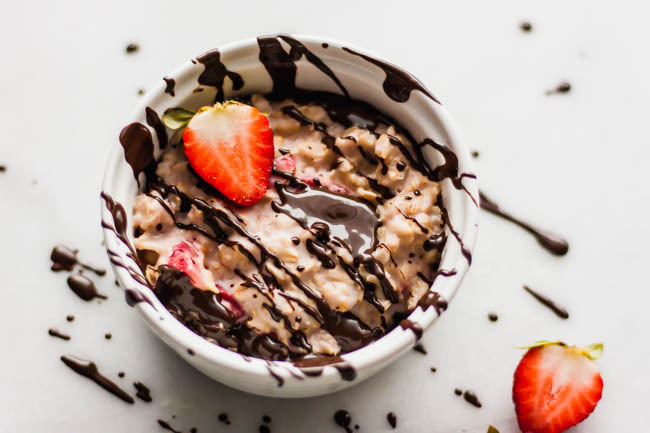 Creamy and decadent Strawberry Chocolate Oatmeal is the beast breakfast solution when you’re in need of something satisfying and sweet. We know you’ll be craving this fiber-rich and chocolatey breakfast sensation that we’re loving this spring. The bright and fruity strawberries add the perfect touch! 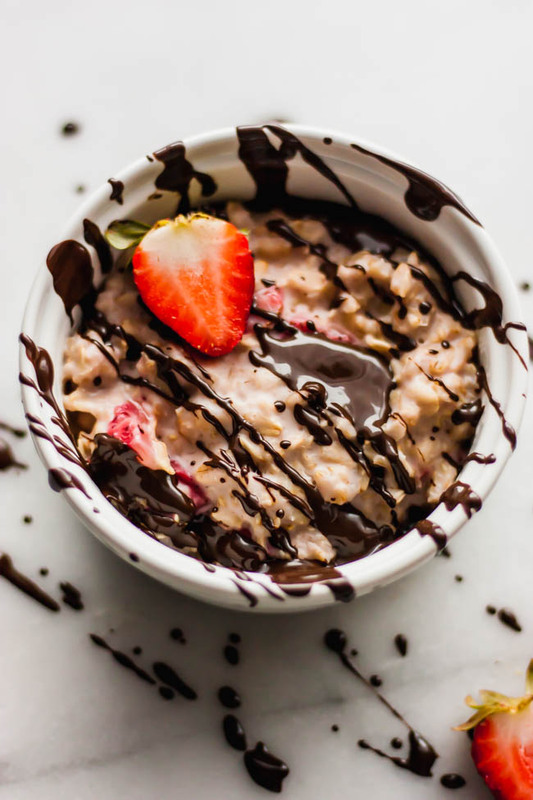 You have to try this Strawberry Chocolate Oatmeal. Add the oats, almond milk, maple syrup, and strawberries to a pan over medium heat. Allow this to cook for 7-10 minutes, uncovered, stirring frequently. When the moisture has absorbed into the oats and the mixture is creamy, remove from the heat. While the oats cook, add the chocolate and coocnut oil to a microwave safe bowl. Microwave in 15 second intervals until everything is melted. Drizzle the chocolate over the oatmeal and top with more strawberries, if desired.